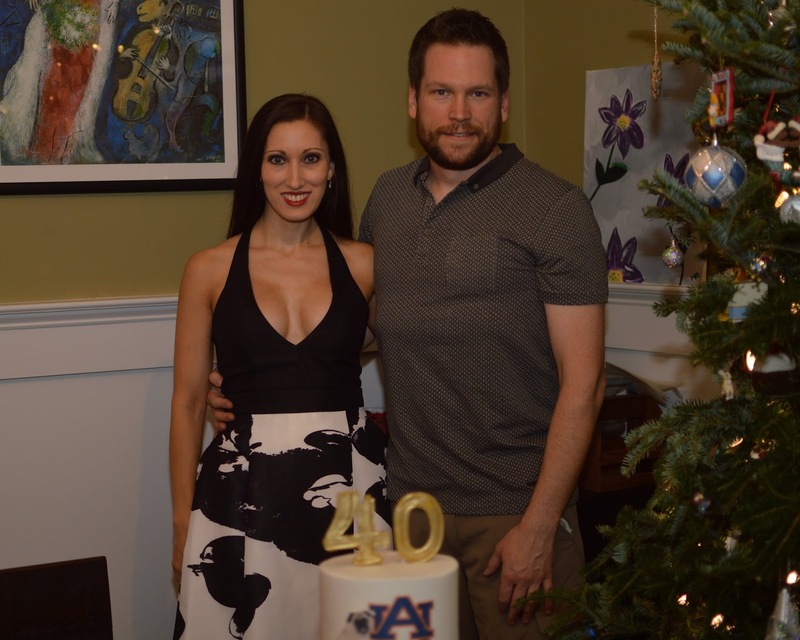 We celebrated Chapin's 40th birthday this past weekend with a party at our home in West Midtown. People commented all night about how much they liked the food, so I think it was a hit. I highly recommend Figs & Honey Catering if you're looking for a caterer in Atlanta. 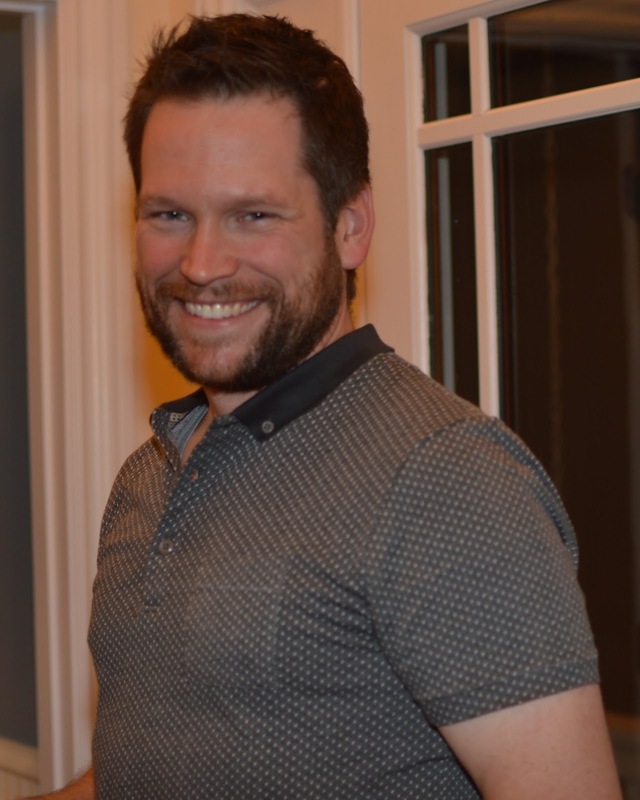 It's hard to believe this handsome guy is 40! I wanted to do something big for dessert, so I ordered a beautiful cake from a Norcross bakery called For Goodness Cakes. I wanted to make it unique to Chapin, so the cake included two layers of his favorite flavors: the bottom layer was chocolate with peanut butter mouse, and the top layer was cookies and cream. 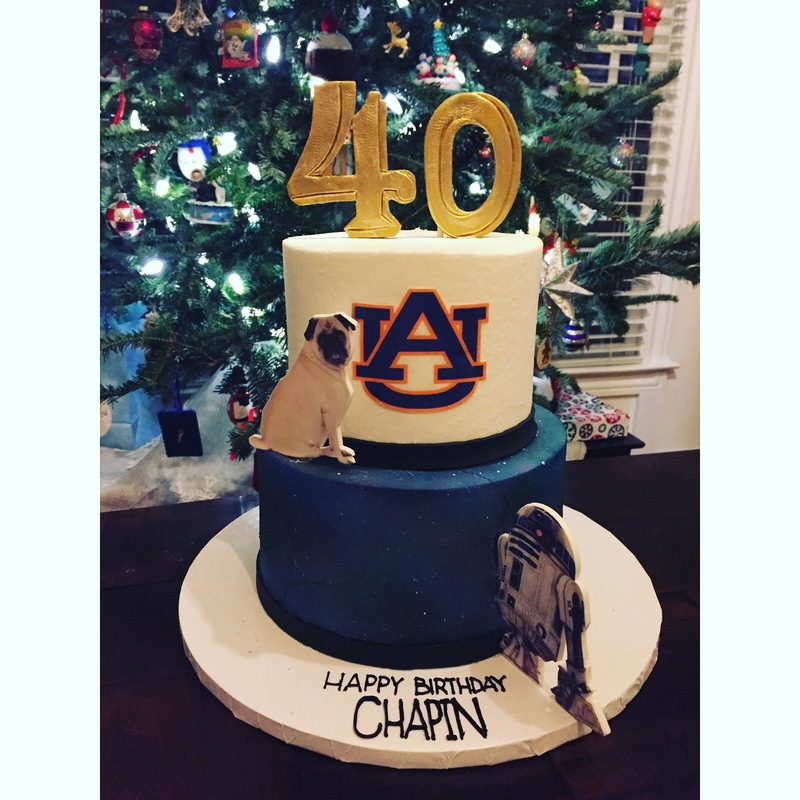 The outside was also customized for Chapin, with images of some of his favorite things (pugs, Star Wars, and Auburn). The cake was delicious, and definitely a worth a cheat day for me. I wore a Halston Heritage Abstract Orchid-Print Fit and Flare Dress for the happy occasion. You can still buy it at Saks Off 5th, or in black and pink at Amazon.